You might be headed to/from Sault Ste. Marie, Sudbury, or North Bay along Highway 17. You may be driving the scenic Lake Superior Circle Tour through Canada and the United States. 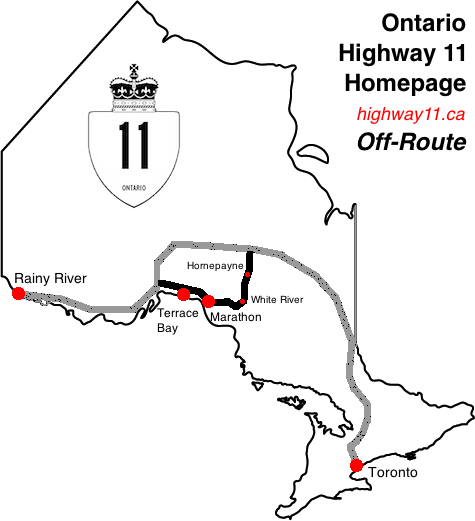 You could have taken Highway 631 south from the most northern stretches of Highway 11. Regardless of your direction, take a trip along the northern shore of Lake Superior, heading inland into the wilds of northern Ontario. If you heading east from Nipigon, begin your journey in Cavers. If you’ve detoured off Highway 11 going south from Hearst, start off in Hornepayne. Otherwise, you can choose from any of the communities profiled below.